Victory for Humpback Whales in Hawaii! One of the biggest (literally) visitor attractions in Hawaii isn’t an “attraction” at all: It’s our famous humpback whales, which come to Hawaii every season to give birth to their young. Thousands of visitors flock to the islands to see these majestic creatures, and whale-watching tours on Maui and the Big Island book up fast. In fact, according to The Hawaii Fishermen’s Alliance for Conservation and Tradition, an estimated 11,000 humpback whales breed in Hawaii waters each winter and migrate to Alaska to feed during the summer. Now, those famous humpback whales in Hawaii have reached a milestone: According to the Honolulu Star Advertiser, federal authorities took most humpback whales off the endangered species list Tuesday, saying their numbers have recovered through international efforts to protect the giant mammals. Not ALL humpback whales have been removed from the list of endangered species, but nine of the 14 distinct populations of humpback whales around the world have been removed. That includes the whales that winter in Hawaii, the West Indies, and Australia, the paper reports. Before, the agency classified all humpback whales as one population. They had been listed as endangered since 1970. 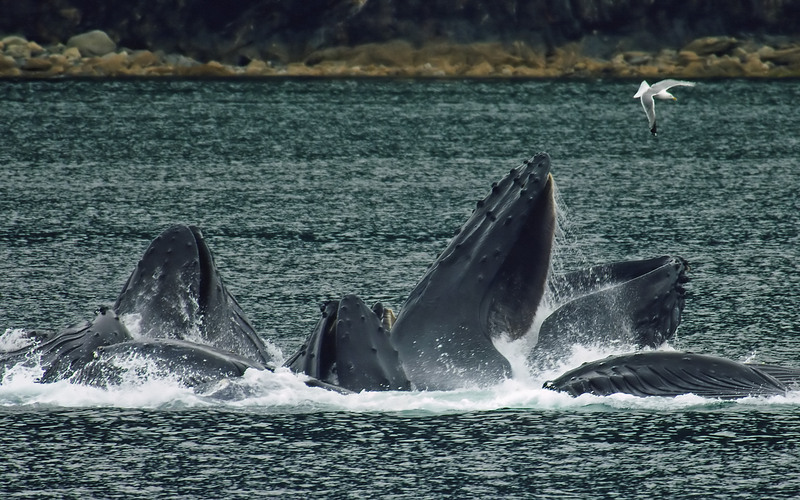 Nine of the 14 distinct populations of humpback whales around the world have been removed. That includes the whales that winter in Hawaii, the West Indies, and Australia. So, how did the turnaround happen? The paper reports that humpback whale numbers have steadily grown since a global ban on commercial whaling started nearly 50 years ago. 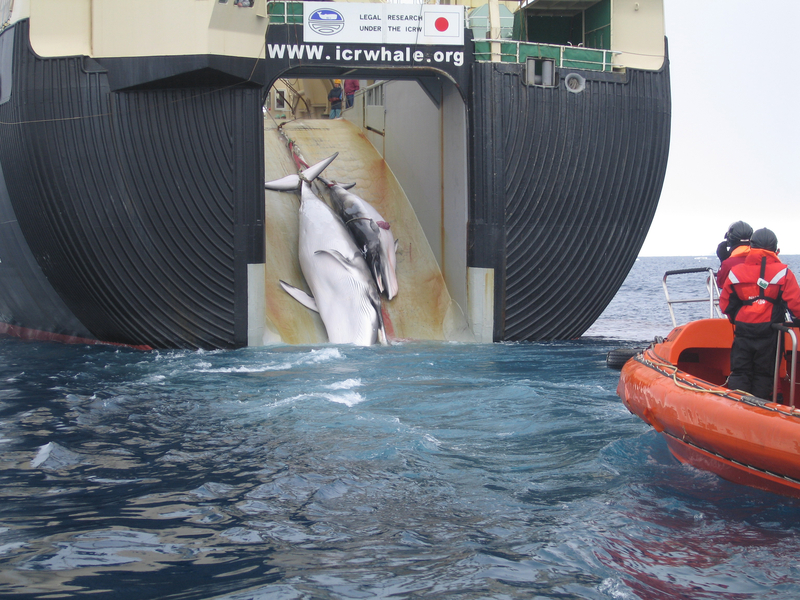 Of course, that whaling moratorium remains in effect, despite the new classification. “Today’s news is a true ecological success story,” Eileen Sobeck, assistant administrator for fisheries at the National Oceanic and Atmospheric Administration, said in a statement. According to the Honolulu Star Advertiser, the whales will continue to be protected under other federal laws, including the Marine Mammal Protection Act. Vessels, including whale watching boats used for tours, will continue to have to stay a specific distance away from humpback whales in Hawaii and Alaska waters. A Hawaii fishermen’s group that petitioned for delisting three years ago told the newspaper it was happy with the decision. “We just saw a lot of whales. So we thought this is a success in ocean management, and we wanted to point that out to the world — that things are good with whales in Hawaii,” Phil Fernandez, president of the Hawaii Fishermen’s Alliance for Conservation and Tradition, told the paper. Still, at least one environmental group said the protections should stay in place. Humpback whale numbers have steadily grown since a global ban on commercial whaling started nearly 50 years ago. Humpbacks that breed in Central America in the winter and feed off California and the Pacific Northwest in the summer are among those that will remain on the endangered list, the Honolulu Star Advertiser reports. Marta Nammack, the fisheries service’s Endangered Species Act listing coordinator, told the newspaper that’s because the population is estimated at only about 400 whales. These whales also face threats from vessel collisions and getting entangled in fishing gear, she said. Whales that breed off Mexico and feed off California, the Pacific Northwest and Alaska will be listed as threatened. There are about 3,200 of the whales in this group, which is only about half of what scientists previously thought, Nammack told reporters. The whales also face fishing gear entanglement threats. Despite the number of species still in danger, humpback whales in Hawaii are enjoying a well-deserved victory. Hopefully, the higher numbers will translate into better whale viewing, too!